8th - 17th January 2016 - This traditional family pantomime includes laughter, music, singing, dancing and comedy for all ages. Tickets are available from just £6 per person. 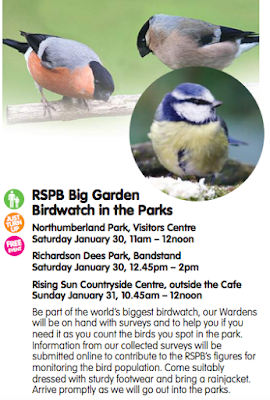 10th January 2016 (11am-1pm) - Make the most of this free event in the activity hut (normal admission charges apply) and create your own bird pudding. No need to book, just turn up. 16th January (11am - 1pm) - Recommended for ages 8-17. CoderDojo sessions are hosted at Life every third Saturday. Young people can learn all about and experiment with coding. This event is free but booking is required and participants are required to bring along their own laptop and power cable. 16th - 17th January - Entry to Kirkley Hall Zoo is half price across the weekend. No need for a voucher or to book, just turn up and your discount will be applied at the door. That means adults are only £3.50 and children £2.50. BARGAIN! We thoroughly enjoyed our trip a few years ago. 21st - 23rd January - Newcastle School for Girls will be performing family favourite Annie following the success of High School Musical last year. Ticket deals are available. 22nd January - Learn the science of the Northern lights and how to use your telescope correctly. If the night is clear you will be taken on a tour of the skies above too. Aurora hunters from age 10-100 will enjoy this experience. Tickets are available from £17. 23rd January - This brand new exhibition features over 40 robots, models and cyborgs from tv shows from the past 60 years. It's sure to delight those old and young. Admission charges apply. 30th January - This free exhibition opens today. Allowing you to discover what life is like in the coldest part of the world, Polar Explorers promises to be a sensory and immersive experience for all. 30th Jan (1pm and 3pm), Wylam Winter Tales - Watch a miniature puppet circus delight the crowd with their tricks, juggling, acrobats and even a canon ball! Tickets are £6.50 each. 31st Jan - This free craft activity takes place in Wylam Methodist Church 2pm-3:30pm. Children must be accompanied by an adult. All materials and instructions will be provided and advice is on hand if needed. You can take your finished lantern home too. To book, email wylamwintertales@gmail.com and enter the word LANTERN in the subject line. Please also note, Alnwick garden will be closed from 4th January - 31st January for maintenance. If you would like to let us know about any other events, please let us know in the comments below. 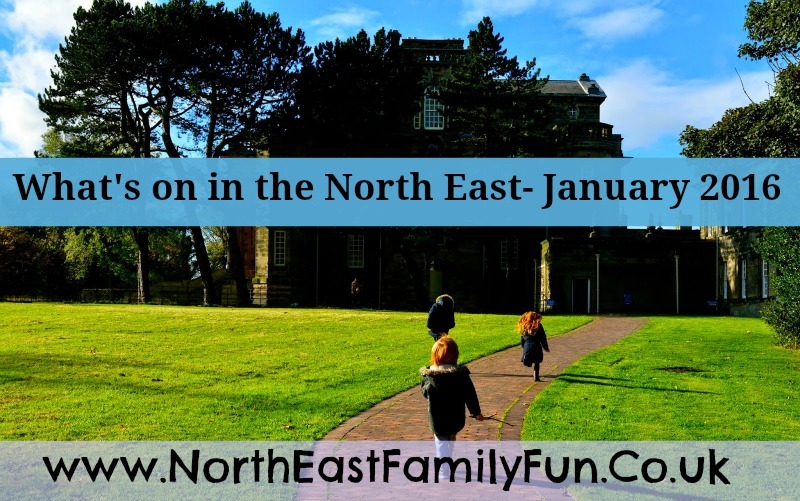 Why not join our North East Family Fun community facebook group where we discuss events and days out in the North East with other parents. I definitely think it's a good idea to get out and about in January, it's too easy to sit at home sulking. I can already feel the Winter Blues arriving! Me too! I need to plan an adventure!